Previously on Rob’s Stalkers, I chastised stalkers everywhere for behaving badly where Robert Pattinson is concerned. My view was that leaving notes on Rob’s car was freaking him out, so let’s cut that out in hopes that he doesn’t shut himself in. My apologies to any stalkers out there who heeded my advice and missed any opportunities. Apparently stalking Rob is all right; you just have to understand his preferences. So, leaving notes on cars–not OK. Standing outside his apartment in Spain every day of his shoot–apparently okay. It earned the stalker a dinner invite. That being the case, I don’t know how anyone will be able to compete with Paris Hilton looking for a house in London, Rob’s home town. That’s some high priced stalking there. Thank you for a lovely evening. When I heard that you were going to shake things up for ratings I understood your reasons, but I was nervous. I wondered if Oscar might loose some of his magic for me if what I feared was true and the Disney kids were going to be catered to, but I really enjoyed the changes you made. I didn’t notice a difference with the red carpet, but I just wanted to tell you I thought it was stunning and well-orchestrated. I’m not sure if it’s scheduled, but it seems like that would be a good thing to do, so I’m going to credit you with that. Hugh Jackman was a lot of fun. I hope this won’t be the last time he hosts the Oscars. I know you’re trying to mix things up, so I don’t expect him to become a fixture or anything, but he was a good host, and I’d like to see him return at least once more. I liked the format. Leading us through pre-production, production, and post-production was a logical progression, and I liked that the same presenter or presenters presented a group of related categories. That really moved things along. Queen Latifah singing I’ll Be Seeing You for the In Memoriam was beautiful. I won’t lie; I got a little choked up. The best part for me though, was how the nominees for the acting categories were presented. Having five previous winners in the category give such beautiful and personal feedback was powerful. For this I got very choked up, especially for the Best Supporting Actress and Best Actress categories. The four actors and actresses who do not receive an award deserve more recognition than simply having their names and films read out; they deserve the personal attention this format allowed. Furthermore it fit in so well with the traditional Academy Awards show that I can hardly believe someone did not come up with this sooner. Please, keep this format until you have to shake things up for ratings once again, and even then, please try to change something else first. PS Thank you for inviting Robert Pattinson to be a presenter so that he would come back to the US and have an excuse to shave, sort of. Thanks to this site for the photo. Does anyone watch Brothers & Sisters? There is a new character, Ryan Lafferty, on the show, played by Luke Grimes. He reminds me so much of Robert Pattinson that it makes me wonder if that’s a reason he was cast, not that that is in any way wrong. He has The Look. I’m not saying he looks exactly like Rob. I’m just saying that if push came to shove they might be in the same line up. He seems to be a pretty good actor judging by the few scenes he’s been in. I hope to see more of him, and I’m not just saying that because of the resemblance. I think he’ll be good for the show. 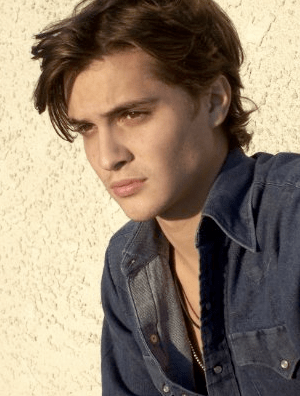 Luke Grimes’ photos thanks to IMDB.com. I haven’t heard any casting news. Does anyone know if anyone from any of the recent casting calls has heard anything yet? They start shooting in mere weeks. Surely somebody knows something. I’m particularly interested in the Phoenix casting call, having gone to witness it myself. It always amazes me when people link back to my blog. Just when I think no one is really reading, someone will like something I wrote enough to recommend it to others. It’s always nice. Not only did Twilight Blogs link to my blog, they listed me as Source 2. Their subject is the Phoenix New Moon Casting Call I posted about this weekend. I had fun taking that little fact finding trip. Little did I know it would be an actual scoop. Thanks again, everyone, for your interest.